Hedgerow House located in an idyllic corner of Ganges, within walking distance of art galleries, restaurants and the renowned Salt Spring Saturday Market. This private adult orientated oasis has been created for guests who enjoy understated luxury as they soak up the island’s peace and tranquility and get a taste of all that Salt Spring Island has to offer. Sustainable initiatives such as solar hot water, an electric car charger and locally sourced ingredients are all part of the guest experience. European bed linens, large fluffy towels,faux fur throws and luxury bathrooms invite you to retreat and relax. Patios and pergolas offer secluded spots in the garden for quiet reading and contemplation ~ island style. Look forward to breakfasts that perk up your morning with freshly brewed coffee and seasonal local ingredients. An in-house yoga studio and wellness centre with hot tub and sauna , offering weekly classes and a wide variety of treatments add to the guests’ wellbeing. Soak up the spirit of the island while you rest, meditate, walk the trails and beaches or take advantage of the many activities offered at all times of the year. If you are thinking of visiting Victoria we can offer you a beautiful,quiet, modern,centrally located apartment just steps from the inner harbour and all downtown amenities. For more information contact us by email or you can book direct here. 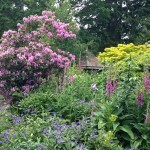 The Hedgerow House in house Yoga Studio and Spa will refresh you body and spirit . ~ Treat yourself to a massage treatment designed uniquely for Hedgerow House guests or how about a couples Pure Aromatic Massage. Relax in the Hot Tub or Infrared Sauna in the garden at the end of the day Ahhhhh ! Go to Wellness for more information. from a dog’s-eye view ……. Explore Salt Spring Island with our dog Simba ! Winter – what winter !! Who needs to go to Mexico or points south?Come and enjoy our mild climate in the southern Gulf Islands and its just a short hop away from the mainland with easy flight connections from the rest of Canada. Check out our very special winter rates starting at $110 per night double occupancy until March 15 2019. Winter - what winter? Who needs to go to Mexico or points south?Come and enjoy our mild climate in the southern Gulf Islands and its just a short hop away from the mainland with easy flight connections from the rest of Canada. Check out our very special winter rates starting at $110 per night double occupancy until March 15 2019. 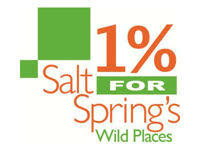 Escape to Salt Spring for a relaxing weekend of wellness and healthy living. Yoga In Salt Spring is offering a Two-night Yoga and Spa Retreat this spring: March 8 & 9, and March 22 & 23. With its on-site wellness area and yoga studio, we are offering guests four hours of Iyengar yoga over the weekend taught by certified Iyengar Yoga teacher Jayne Lloyd-Jones, and use of the hot tub and Infrared sauna. Additional spa treatments may be booked on site. Elegant accommodations with en suite bathroom, daily full breakfasts as well as afternoon tea and treats are included. . Rates $395 (single occupancy) or $495 ( double occupancy) including tax. Namaste ! SPA & YOGA RETREAT Escape to Salt Spring for a relaxing weekend of wellness and healthy living. Yoga In Salt Spring is offering a Two-night Yoga and Spa Retreat this spring: March 8 & 9, and March 22 & 23. With its on-site wellness area and yoga studio, we are offering guests four hours of Iyengar yoga over the weekend taught by certified Iyengar Yoga teacher Jayne Lloyd-Jones, and use of the hot tub and Infrared sauna. Additional spa treatments may be booked on site. Elegant accommodations with en suite bathroom, daily full breakfasts as well as afternoon tea and treats are included. . Rates $395 (single occupancy) or $495 ( double occupancy) including tax. Namaste ! Give the gift of an Island Escape to Salt Spring. Whether for Christmas, a wedding present, anniversaries, birthdays or just because …… buy a a gift certificate for a stay at Hedgerow House. We offer gift certificates that can be customized for any amount or for a specific package including Spa treatments and Yoga classes. You decide! To purchase call us on 250 538 1716 or email Inq@hedgrowhouse.ca . 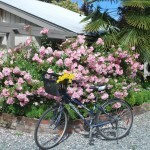 GIFT CERTIFICATES Give the gift of an Island Escape to Salt Spring. Whether for Christmas, a wedding present, anniversaries, birthdays or just because …… buy a a gift certificate for a stay at Hedgerow House. We offer gift certificates that can be customized for any amount or for a specific package including Spa treatments and Yoga classes. You decide! To purchase call us on 250 538 1716 or email Inq@hedgrowhouse.ca . If you have joined the trend towards clean energy and drive an electric car,look no further than Hedgerow House. We have a Level 2 (J-1772 plug) charger which is complimentary for guests. So whether you drive a Nissan Leaf, a BMW I 3 or I 8, a Bolt ,Smart E car or a Tesla you can stay with us and be fully charged by morning. I If you have joined the trend towards clean energy and drive an electric car,look no further than Hedgerow House. We have a Level 2 (J-1772 plug) charger which is complimentary for guests. So whether you drive a Nissan Leaf, a BMW I 3 or I 8, a Bolt ,Smart E car or a Tesla you can stay with us and be fully charged by morning. We are offering some very special early season rates in January to mid March starting at $110 per night per room including breakfast ! If you are in need of some wellness or want to explore some new Yoga poses why not join us for one of our 2 night Spa and Yoga retreats March 8/9 or March22/23. Check our Special Offers section for details . If you are coming to Salt Spring Island why not extend your trip to the city of Victoria just across the water on Vancouver Island. We have the perfect accommodation for you. Our modern centrally located apartment is the perfect base. Featuring one bright bedroom and large living room with sofa bed, dining area and fully equipped kitchen as well as a lovely patio right in the heart of the city . A secure parking spot is also available for guests. Rates from $95 per night.Contact us at peter@hedgerowhouse.ca for more details, rates and reservations. VICTORIA ESCAPE If you are coming to Salt Spring Island why not extend your trip to the city of Victoria just across the water on Vancouver Island. We have the perfect accommodation for you. Our modern centrally located apartment is the perfect base. Featuring one bright bedroom and large living room with sofa bed, dining area and fully equipped kitchen as well as a lovely patio right in the heart of the city . A secure parking spot is also available for guests. Rates from $95 per night.Contact us at peter@hedgerowhouse.ca for more details, rates and reservations.